Nature Bank is an initiative from Infinite Energy which enables businesses to offset the carbon emissions associated with their electricity supply in a simple, easy and cost effective way. For many businesses, electricity is one of their largest sources of carbon emissions. Through Nature Bank, our electricity customers can offset these emissions through their monthly electricity bill; we simply add a small fee per kWh (or unit of electricity). 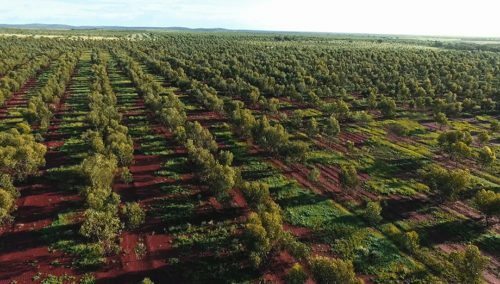 Nature Bank invests in projects such as Carbon Neutral’s Yarra Yarra Biodiversity Corridor reforestation program right here in WA, and other projects such as avoided deforestation in the Amazon rainforest, Brazil. Not only does Nature Bank allow you to support local projects, it’s also a more economical choice than purchasing Greenpower. How does Nature Bank Work? Tick the Nature Bank box on your electricity contract. Nature Bank will offset the carbon emissions associated with your grid supplied electricity by adding a small fee per kWh (or unit of electricity) to your monthly electricity bill. Nature Bank will invest your carbon offsets primarily in the Yarra Yarra Biodiversity Corridor reforestation program, as well as projects such as avoided deforestation in the Amazon Rainforest, Brazil. You’re now an accredited member of Nature Bank and part of a group of companies taking the initiative to protect and restore our environment. Helping integrate sustainability into business planning. While joining Nature Bank will not make your organisation 100% Carbon Neutral, electricity consumption accounts for 75% of all emissions for the majority of businesses, meaning you’re well on the way. If you’d like to completely offset all your emissions, Infinite Energy can facilitate this through Carbon Neutral. What Projects does Nature Bank Support? Nature Bank invests in a variety of projects but is primarily focussed on supporting Carbon Neutral’s Yarra Yarra Biodiversity Corridor in WA. Other investments include avoided deforestation in Brazil. Located in WA’s northern agriculture region, the Yarra Yarra Corridor is just 400km north of Perth. Once home to rich and diverse ancient landscapes, 90% of the region was cleared for agriculture purpose from the early 1900s onwards. As well as enhancing biodiversity and sequestering greenhouse gas emissions, trees planted by Carbon Neutral contribute towards reducing soil salinity, saves and restores water quality, cuts soil and water erosion and provides windbreaks. 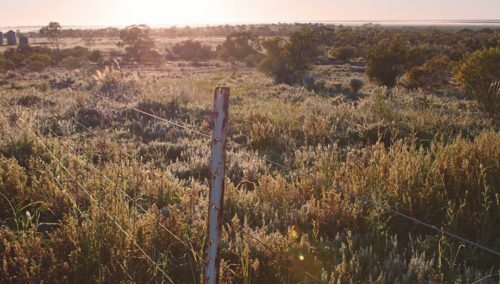 While some reforesters plant only a single species on their land, Carbon Neutral plants a diverse range of native plant species to provide habitat for our very special flora and fauna. To date, carbon neutral has planted over 18 million, mixed native species trees and shrubs on over 9,800 hectares in the Yarra Yarra Biodiversity Corridor. To learn more about offsetting your electricity emissions, contact us.